We will cycle along the full length of the Eem river (formely Amer River). At 18 km (11 miles) it is the longest river flowing entirely in the Netherlands. 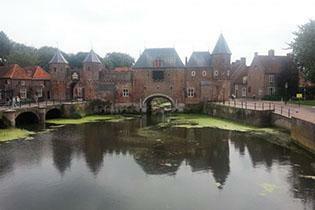 We start in Amersfoort where the river is fed by the Vallei (Valley) Canal and a number of Veluwe creeks. The river flows through beautiful farmland with grazing sheep and cattle. 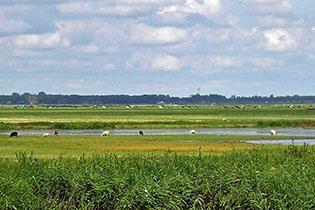 We cycle through several Eemland bird reserves. Especially between May and June these are abound with typical Dutch meadow birds. We reach the Eemmeer (Eem Lake,the river mouth). Across the water we see the Flevopolder drained between 1950 and 1968. We continue our route towards Bunschoten-Spakenburg. 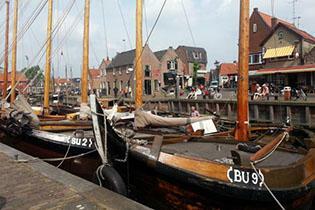 Spakenburg is a former fishing village on the Zuiderzee. The fishermen caught the fish on their traditional fishing vessels called botters. The old harbour and wharf are now a museum harbour. It is home to a third of the Dutch botter fleet. We make a botter trip on the former Zuiderzee and experience sailing the boat ourselves (optional activity). 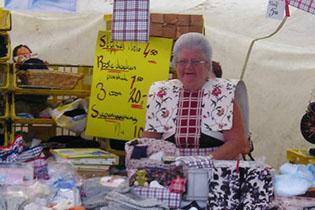 Nowadays there is no more distinction between Spakenburg and its neighbouring village Bunschoten. We continue our tour through the beautiful old parts of what is officially called Bunschoten-Spakenburg with some nice churches and a windmill (Korenmolen De Hoop ). A new cycle route through the polder along the river Laak and excellent cycle paths through modern Amersfoort take us back to our starting point.